An angler fishes in the Shuicheng River in Liupanshui City, China. 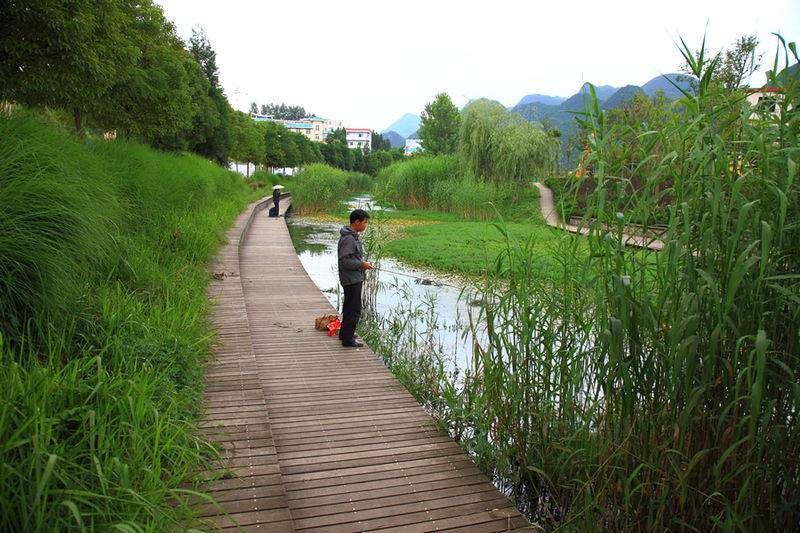 The once-polluted river was cleaned up during a restoration project that saw the waterway and the Minhu Wetland Park restored to a more natural habitat. Photo courtesy of Kongjian Yu/Turenscape. Kongjian Yu is the son of a Chinese farmer. He grew up on a commune and worked in the rice, wheat, and sugarcane fields with his father until he left for college at age 17. Today, Yu, 50, is a well-respected, award-winning urban designer and landscape architect whose firm Turenscape often turns neglected land and polluted waterways into wetland parks filled with flowers and teeming with fish and birds. Yu showed photographs of these lush parks during his keynote talk at the 2014 Geodesign Summit, held January 29–30 at Esri in Redlands, California. 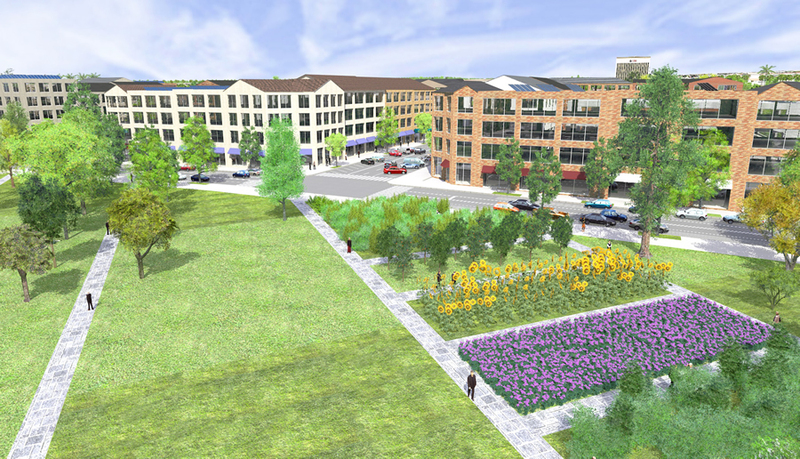 He took the opportunity to advocate for a fresh way of thinking in landscape architecture and design: use geodesign, which incorporates design, geography, and geospatial technology such as GIS, to help create an ecological infrastructure for communities. 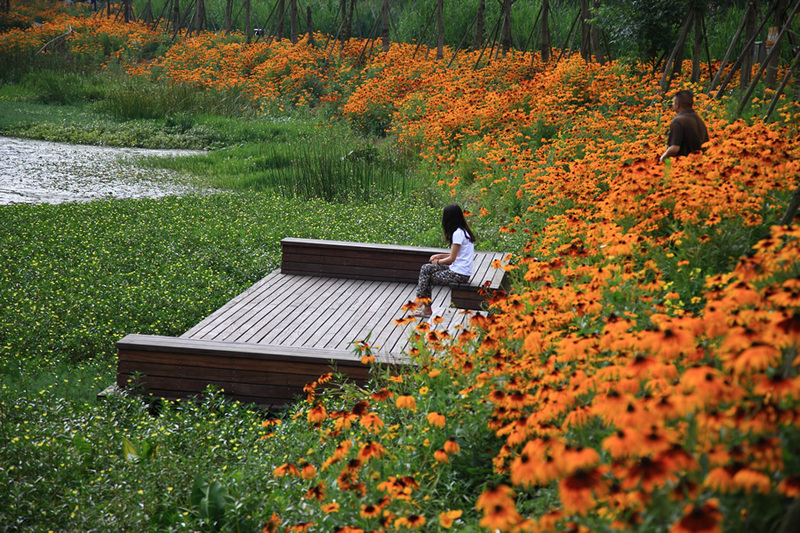 A girl sits on a bench in Minhu Wetland Park in Liupanshui City, China. The Chinese firm Turenscape created a biodiverse ecosystem for a once-polluted area. Photo courtesy of Kongjian Yu/Turenscape. Yu and a roster of other speakers gave presentations to almost 300 people from diverse fields such as architecture, academia, urban design, ecology, health, banking, biology, mining, and marine sciences. Nearly half were new to the event, now in its fifth year. 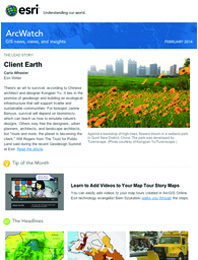 Geodesign Summit organizers believe that reflects a deepening interest in geodesign. 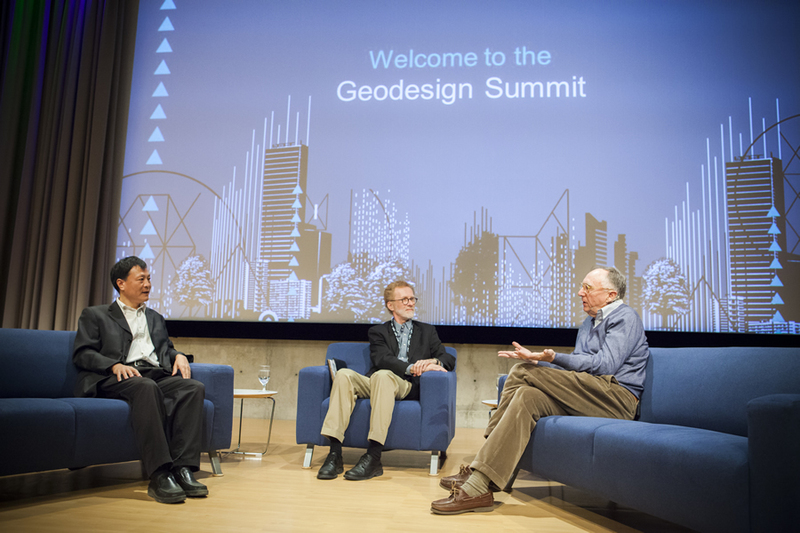 Kongjian Yu (left), the founder of Turenscape, speaks with Tom Fisher (center) and Jack Dangermond about the importance of creating an ecological infrastructure. Esri staff gave the audience a short demo of the geodesign tools in Esri CityEngine, which creates 3D models of buildings and entire urban landscapes using procedural rules. Eric Wittner, the 3D technology evangelist at Esri, and the 3D team also previewed the 64-bit ArcGIS Pro, a powerful 2D and 3D visualization, editing, and analysis application that will be part of ArcGIS for Desktop and is expected to be available later this year. In a demo, the team showed how it was possible to use ArcGIS Pro to design a green rooftop garden. For example, they used tools in the application to add a glass fence to the perimeter of the roof, access for an elevator, shrubs, and a fountain. “This will be a new tool to do design and blend the 2D and 3D world,” Wittner said. Esri technology evangelist Bern Szukalski demonstrated a new browser-based web app called ArcGIS Landscape Planner that’s now available in beta in ArcGIS Marketplace. This ArcGIS Online powered app contains sketching and analysis tools and gives designers the ability to bring in landscape and demographic layers and imagery. The app also lets them collaborate together and edit designs. Though technology was front and center at the conference, the idea of designing with nature in mind was omnipresent in the Esri auditorium. Renowned biologist and natural sciences writer Janine Benyus took the stage to talk about biomimicry, the science that studies how nature can provide inspiration for innovation. 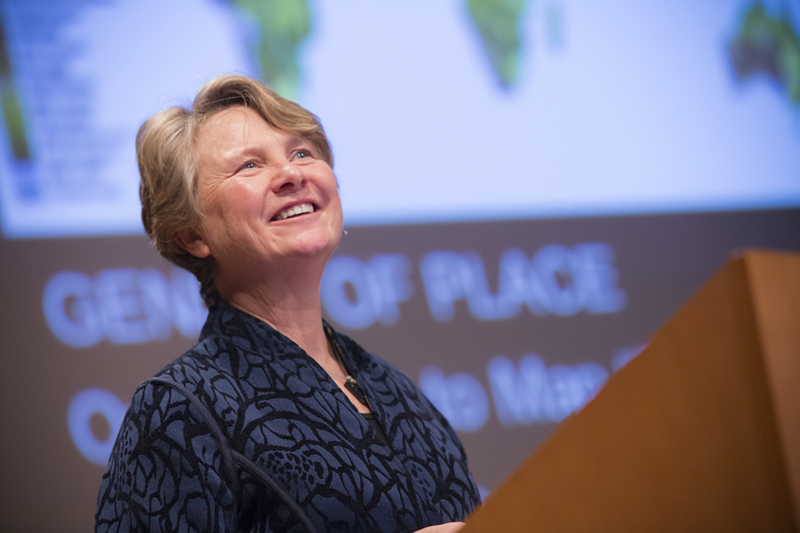 She believes biomimicry can provide a model for landscape and urban design. Biologist Janine Benyus encouraged the audience to look to nature for design inspiration and ideas. In a follow-up conversation with Dangermond and Fisher, Benyus said that metrics need to be collected in order to create ecological performance standards for designing sustainable cities. 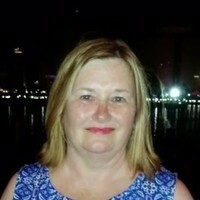 She also envisions the creation of a biological information repository that inventors, designers, and others involved in biomimicry could access to obtain scientific data about their areas of interest. Benyus said she looked forward to learning more about GIS and the role it could play in developing and hosting such a repository. In contrast, Yu was introduced to GIS long ago. He honed his GIS skills in the 1990s, and today his staff at Turenscape uses Esri ArcGIS software for topographic modeling and analysis. 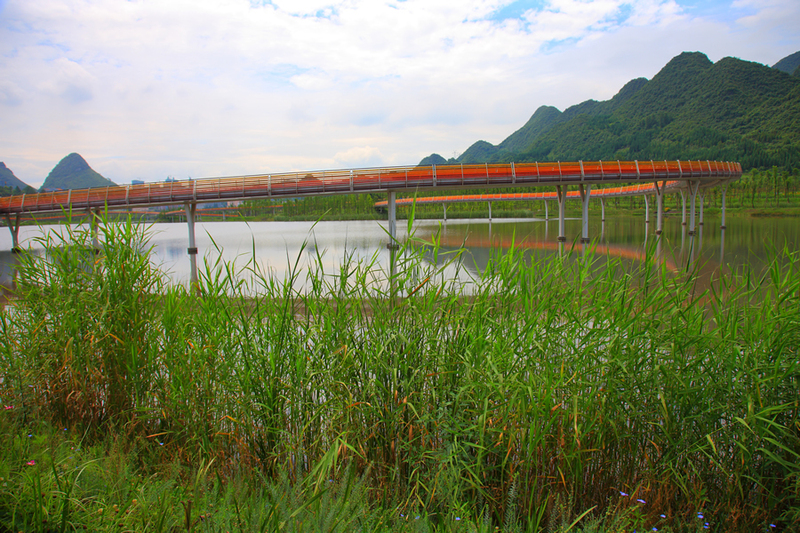 Turenscape designed this pedestrian bridge over Minhu Wetland Park in southwestern China. Photo courtesy of Kongjian Yu/Turenscape. The man did not really go far from the farm. Creating and protecting healthy habitats is the goal of The Trust for Public Land, said Will Rogers, president and chief executive officer of The Trust for Public Land, a nonprofit land conservation organization.